It’s Tuesday, Florida State fans. As your day and work week move along, keep it here for the latest in FSU athletics. The news and notes section of this post will be updated throughout the day. 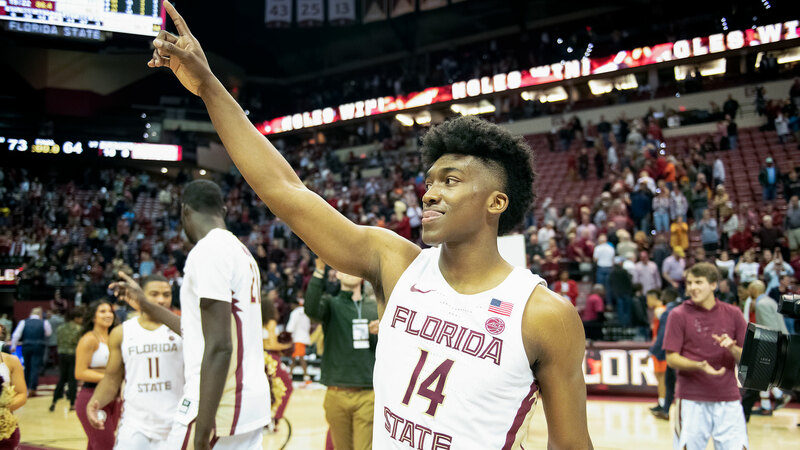 A pair of seniors will get to represent Florida State basketball one last time. Center Christ Koumadje and guard Terance Mann were each selected to participate in the Portsmouth Invitational from Wednesday through Saturday in Virginia. Mann will be part of the Mike Duman team while Koumadje will play for the Portsmouth Sports Club squad. Mann averaged 11.4 points and 6.5 rebounds for FSU this past season while shooting better than 50 percent from the field. Koumadje, a 7-foot-4 center, enjoyed a career-year, averaging 6.6 points, 5.6 rebounds and 1.4 blocks while shooting at a 63 percent clip. FSU softball was swept by North Carolina in a doubleheader on Monday, falling 6-5 in nine innings and 1-0. There are no FSU athletic events scheduled for Tuesday. FSU beach volleyball will be the No. 1 seed in the CCSA Tournament. FSU swimming and diving held its annual awards banquet over the weekend.